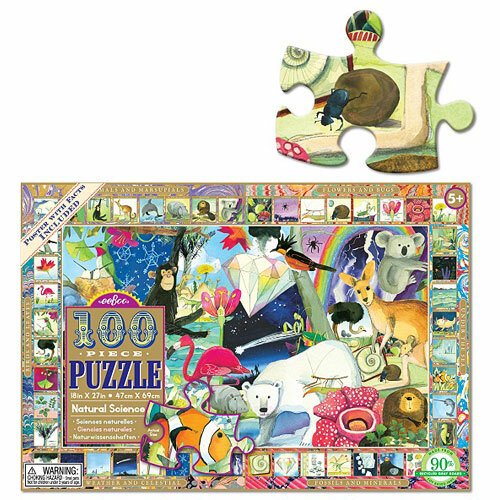 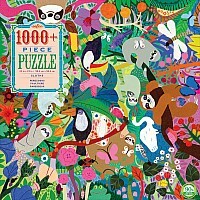 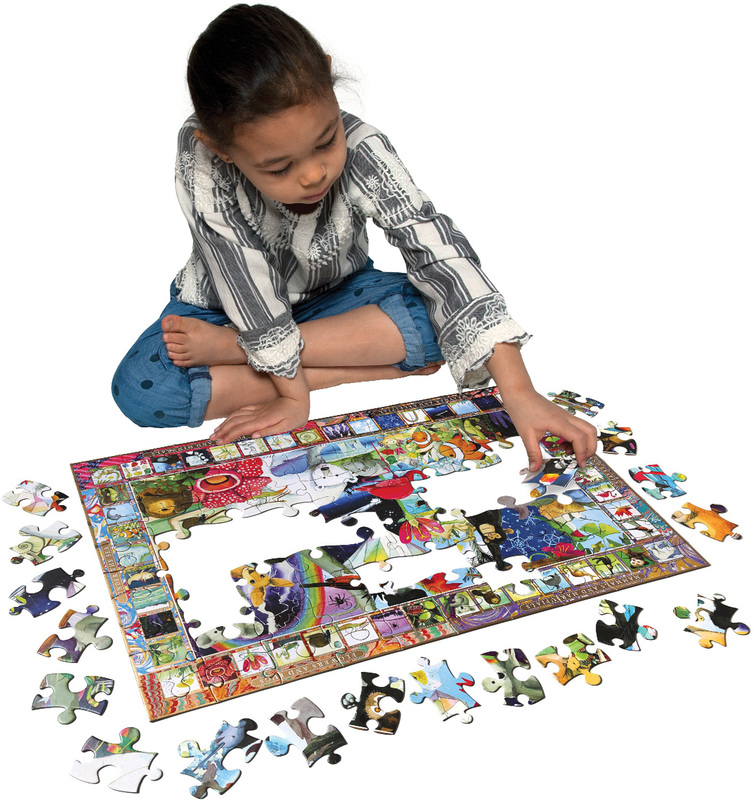 eeBoo’s new Natural Science 100 Piece Puzzle features the striking artwork of acclaimed children’s book illustrator, Melissa Sweet. 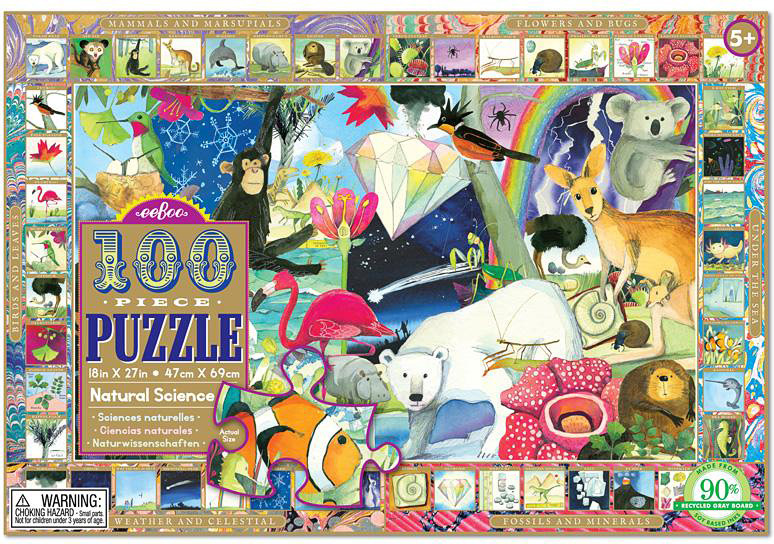 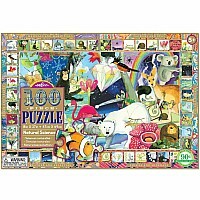 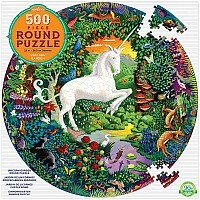 The Natural History Puzzle boasts a gorgeous array of nature’s most spectacular creations. Printed with gold gloss accents, eeBoo’s Natural History Puzzle has a high-quality feel without the cost. 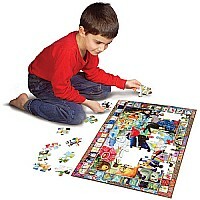 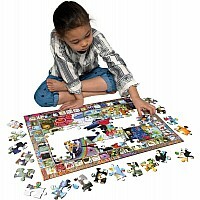 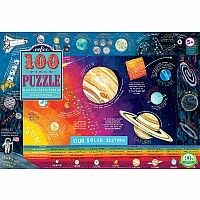 Puzzle size 18" x 27"
Recommended for ages : 5 to 9.